What is Yad Mordechai? it is a small community in Israel, near Ashkelon, near Gaza. Rockets over Yad Mordechai. I have just returned from Warsaw where I had the honor and privilege of visiting the site of Mila 18, the last bunker headquarters of the ZOB; Zydowska Organizacja Bojowa, which means Jewish Fighting Organization. There I stood with the great fighters from the past, there the great Jewish fighter Mordechai Anielewicz died along with 100 other fighters, and there his bones remain. I stood there. I stood with him. In December 1943 Polish Jewish survivors created a new community in Israel. Yad Mordecahi in honor and memory of Mordechai Anielewicz. In 1948 it was attacked by Egypt. The destroyed water tower stands next to a statue of Mordechai Anielewicz holding a grenade. Two battles are represented: The Warsaw Ghetto Uprising and the battle with Egypt, for the freedom of Israel. And today again Mordechai is under attack. 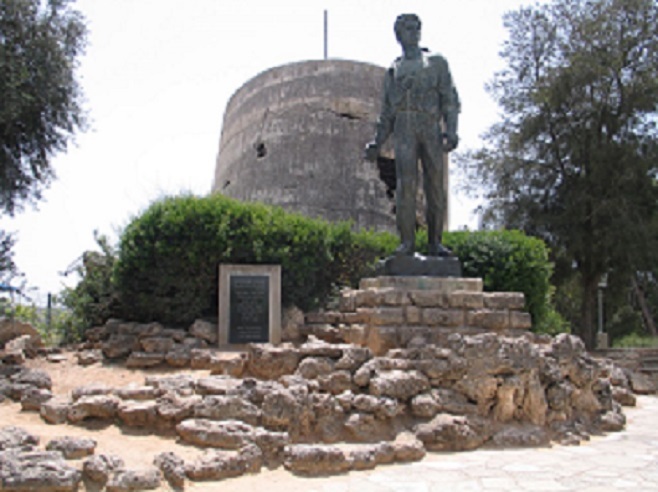 Yad Mordechai in Israel; the legendary fighter from Warsaw with a hand grenade fighting the Nazis next to the water tower destroyed by the Egyptians. When I stood and saluted his grave I said in my heart, You may now rest in peace brave warrior, but I was wrong, it is not to be. Mordechai continues to fight, the community named in his honor is under attack again. Our enemies will not let us live in peace. Mordechai and his comrades have been called up for reserves, from the grave! Our boys and men, young and old are being called up. Today five brave warriors will be buried, the sunshine is gone and even the heavens are in mourning. The enemy does not value life as we do, despite their tearful appearances created for international viewers. They use children to protect weapons and missiles and terrorists. And our boys go out to war with smiles. They do not want us to worry. They smile and say, "Don't worry, we will protect you, we are here to protect you, we will be OK". And they march off smiling, singing, and praising God while we watch and worry. And I think of my trip to Poland, how the world did not want us to live and we were shoved into cattle cars and pushed into gas chambers. And I say this is no longer possible, for today we have the State of Israel, the glorious unique State of Israel and we have an army, a great moral army that goes to war. And let no man criticize our army. For there has never been a more moral army in the history of mankind. And some say that is a contradiction in terms, that no army can be moral. But that is wrong! Our army takes extra hits, extra casualties as it does everything humanly possible to avoid civilians casualties, however impossible that is in the current situation. The enemy knows our humanity and forces children to play soccer on the roof of a building that contains military supplies, as they are counting on us not attacking. They hide terrorists in Red Crescent emergency vehicles. So the ground troops must go in, and we suffer causalities. We pay for their inhumanity by the loss of Israeli lives. Let no man criticize us! Yes, there is such a thing as a moral army. Yes, there is such a thing as a people's army. We are truly a nation of warriors, and each and every one of us contributes what they can. And now, this morning, I heard the news that one of my nephews has been called up...I have no more words, just prayers. As I scroll down Facebook I see my friend Mika from the T shirt factory, the owners' son. His status: "What am I asking for! I just want to get my notice to be called up and command a unit." How wonderful are your tents O Israel; what a amazing people, each wishing to give to give and to give. The American president said, "Ask not what your country can give to you, ask what you can give to your country". In Israel such words are not necessary. In Israel the president is inspired by the great example of a Great Nation. In Israel no one wants to sit on the sidelines and watch, everyone wants to contribute. Come to Israel and see for yourself what an amazing people this is. Join us for the next Tour and Train. 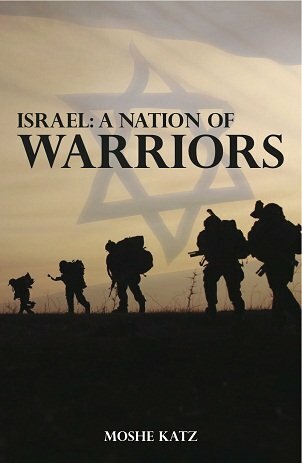 You need Israel, Israel needs you. Come to Israel, immerse yourself in true, up to date, authentic Krav Maga training at the source. IKI Krav Maga; dealing with every and any situation you may face. See Krav Maga and Israel from the inside. Tour and Train Israel Experience. What is a nation of warriors? How and when did it begin? The story history of a fighting nation, 3,600 years old.